Is visual art a specialized kind of information, which can be manipulated using the tools of formation science? What are the defining informational characteristics of visual art, if this is the case? Or does visual information act as the raw material of art, the essence which combines with media and action to yeild expression? Do the traditional divisions of information as a raw material support this idea of art-making? How often does a piece of pure information become valued as art? What are the steps leading to this valuation? How would we define “pure�? Does art ever “decay� away from cultural artifact into raw information, losing whatever artistic meaning was previously associated with it? What causes this decay? Are there layers of meaning which visual art must have to contain value? Can the same thing be said of visual information? Da Vinci drawings - animated. Behind the diversity are a series of unifying themes in Leonardo’s vision of how the world works. The dominant theme is the mathematical operation of all the powers of nature. Eye of Science: Combining scientific exactness with aesthetic appearances. Pictures that lie: "A picture is worth a thousand words, unless of course, it is a fake one. "Pictures that Lie" exposes examples of media photographs that have been doctored, altered, or otherwise manipulated before being publicly released. Data as art: Designs making people aware of context. Iota Center: The art of abstraction in the moving image. SwarmSketch: an ongoing online canvas of distributed design. Their Circular Life: a 24-hour cycle of everyday urban life unfolds. Phylotaxis: Derived from the Fibonacci Sequence. 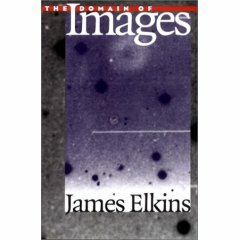 Complexification: Computer programs creating graphic images. Google-docs space for storing drafts in progress. Data and links related to assorted research methodologies are being stored in this blog. "Midway along the journey of our life I woke to find myself in a dark wood, for I had wandered off from the straight path." *Quidquid latine dictum sit, altum viditur translates to "Whatever is said in Latin sounds profound." Suggestions for links are always welcome. Send them here.